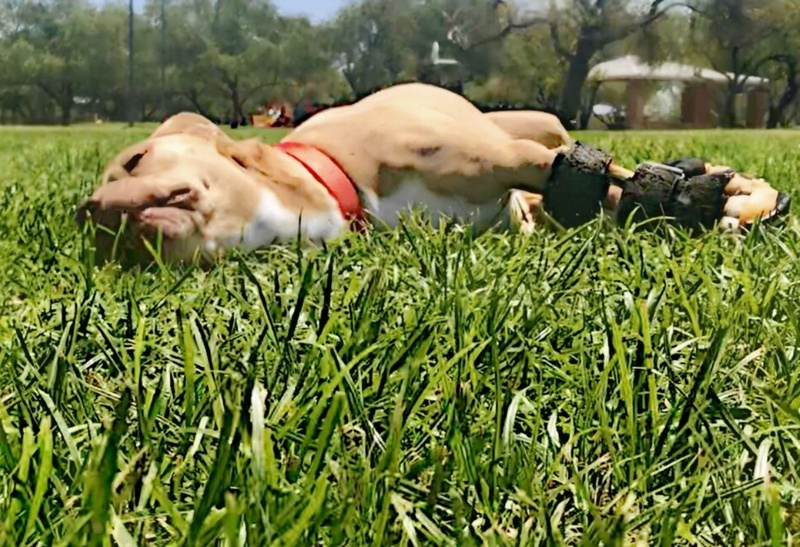 When Addie arrived at Save-a-Bull Rescue in Tucson, Arizona as a stray it was clear that her front legs were causing her great pain, leaving her only able to crawl. Despite her obvious pain, her sweet personality & calm demeanor filled the hearts of her rescuers who wanted to help this precious pup! A veterinarian examined Addie & discovered that she had a rare condition called Immune-Mediated Polyarthritis. 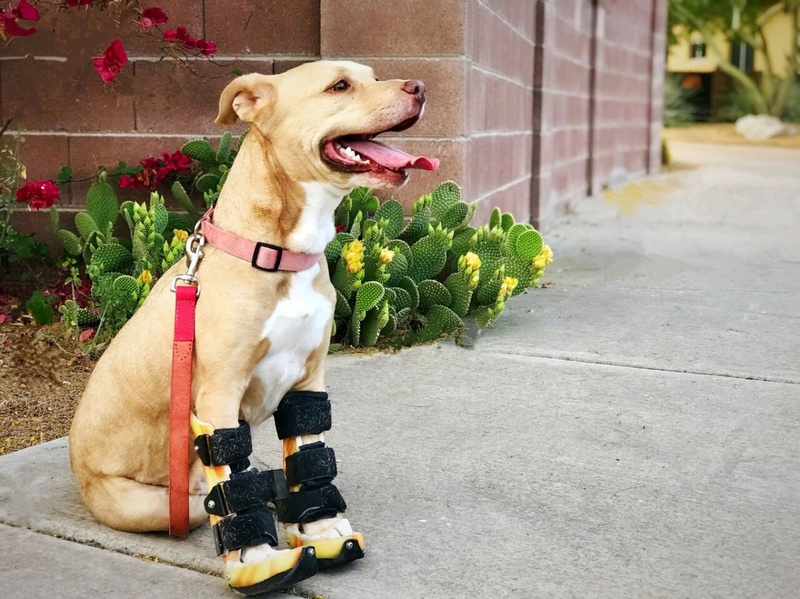 Her carpal joints had been eroded down to the point where she’d need to be fitted with braces and started on rehabilitative treatments, so she could start walking normally. Despite all this, Addie is still a wonderfully happy dog & looking for a new home! Her cuddly personality will fill your home with lots of love & her can-do personality will inspire you daily! If you’re interested in adopting Addie, please fill out an application with Save-A-Bull Rescue!